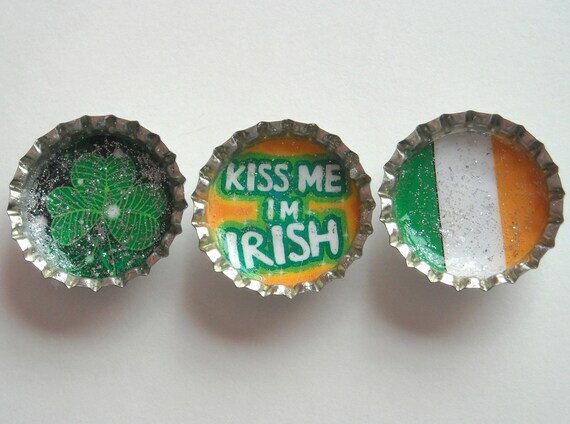 Celebrating my Irish heritage has long been a family tradition. Cleveland has a fantastic St. Patrick’s Day parade that we try to attend. I have also attended parades in New York City and Chicago. Those were quite crowded and I managed to get caught in human traffic jams! 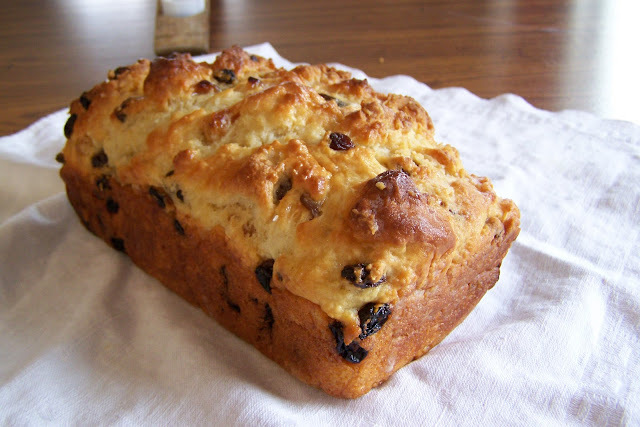 I have a favorite Irish Soda Bread recipe that I’d like to share with you. It is not cooked in the traditional mound, but rather, in bread pans. It is not as dry as most Soda Breads and everyone seems to enjoy it. I obtained this recipe from a home-style restaurant named “Fanny’s” in the old neighborhood. Speaking of the old neighborhood and all things Irish, the colorful character Danny Greene, from the new movie “Kill the Irishman” lived in my neighborhood! Dad had lots of stories to share and I have a few of my own. The movie opens across the nation this weekend and I can’t wait to see it! 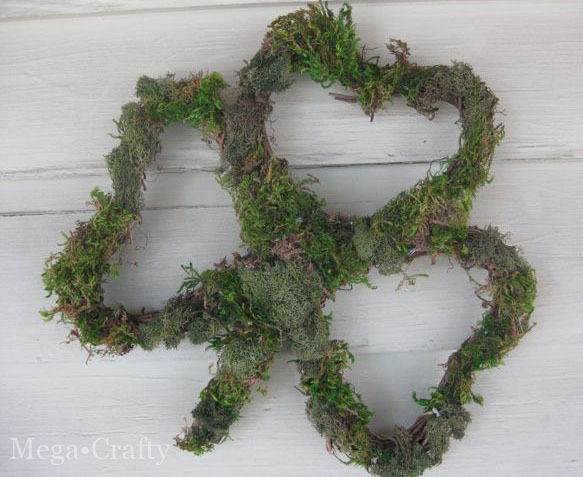 Have you ever stopped by Mega Crafty? She has such creative ideas for Wreaths and Cupcakes and I couldn’t help but share this amazing Shamrock Wreath. Check it out here! Mix dry ingredients in a large bowl. Make a well. In separate bowl, mix eggs and buttermilk. Add buttermilk mixture into well and mix until flour is absorbed. Add raisins. Pour mixture into three greased 9 x 5″ loaf pans. Bake at 350 degrees for 55 – 60 minutes or until browned and toothpick comes out clean. Brush with melted butter or margarine, then invert onto cooling racks. Thanks for linking to my wreath Jane. That soda bread sounds really good I’m going to have to try it. thanks for the irish soda bread recipe! I LOVE irish soda bread. Hmm..my coworker grew up in Cleveland, wonder if you might know each other?